"Enter as Strangers . . . Leave as Friends"
Welcome to Fitness Finesse. We are a small family gym which has served the Bradford 6 area since 1995 and boast a caring, friendly & un-intimidating atmosphere. Our members come from all age groups, many of whom have never used a gym before and others who have felt intimidated when previously doing so. We believe that the majority of our members choose us because we provide good, old-fashioned personal service in a friendly atmosphere. There are no frills, no gimmicks or fancy trimmings and our motto is ‘forget the lycra’. It is all about a good, honest workout. We have a fully equipped gymnasium where our qualified staff will guide you around and develop a programme of exercises specifically tailored to your requirements. Alternatively, you can participate in any of our aerobic or specialised classes or just pamper yourself at the hands of our resident Beauty Therapist. 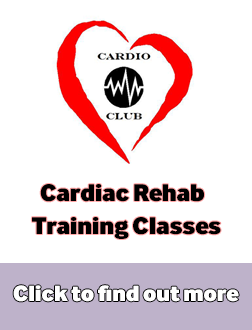 We are one of the few approved providers of safe and effective Cardiac Rehabilitation in the Bradford area and have a close working relationship with the local Doctors Exercise Referral scheme (BEEP). Whether you require weight loss and toning, muscle strengthening, general fitness and mobility or are seeking rehabilitation from an injury, operation or heart related condition we can design a programme to meet your needs. Our fully qualified instructors are only too happy to help.